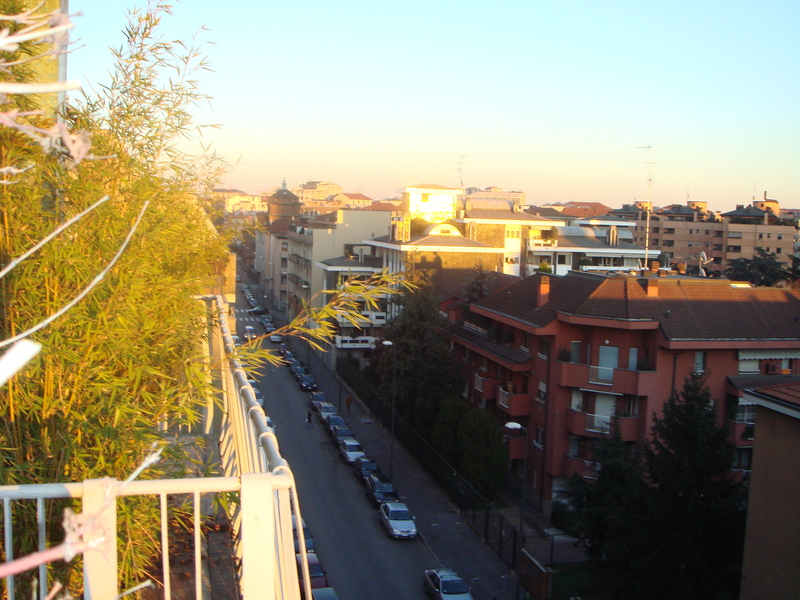 Milan’s Via Taormina is part of the city sprawl that has swallowed a small village. In spite of the roads crammed with roaring traffic that surround it and the modern shops and dwellings that hover at its edges, much of village life continues here. The church, San Marco, opens onto Piazza Caserta at the crossroads of Via Taormina and Via Veglia. While 21st century secular life and work dictate the rhythm of the days for most of the people who live here, still the bells of San Marco mark out traditions of prayer and spiritual observance. Every morning, they call the faithful to Mass. They chime out the Ave Maria at 12 o’clock to announce the Angelus. They ring again at three for Benediction. They peel at length on Sundays and feast days, for Baptisms and weddings. They toll at times of mourning. Inside, San Marco has all the timeless and universal symbols of Catholicism. There is the familiar scent of incense and candle wax, the dim light, the wooden pews, the pillars, the confessional boxes, the Stations of the Cross, the altar and its white cloths, the gilded tabernacle, the small red lamp glowing beside it, the stone angels, the paintings of Our Lady, the infant Jesus and the saints. All this was the backdrop to my girlhood, the culture in which I grew up. I am not surprised to find it, here in San Marco, Via Taormina. Italy, is after all “the source” and the “Mecca” of the Catholic faith. The nuns, our teachers, too, always confident that we would make our way out into the wide world, had promised that in any Catholic church, anywhere, we would find all the same symbols and rituals. What does surprise me, is my sense of belonging and how much “at home” I feel here.